Materials: 1 skein of Lorna's Laces Shepherd Sock (100g / 435 yds) in color 'Fjord', 1 skein of Lorna's Laces Shepherd Sock (100g / 435 yds) in color 'Jamie's Kilt' -or- one of the other color combos listed below, darning needle, stitch markers, a US 4- 40" circular needle and a cable needle for the knit version -or- a size 4.0mm/US G hook for the crochet version. Please note: This kit contains yarn only. Pattern must be purchased separately at the links provided below; no pattern or download code will be shipped with the yarn. 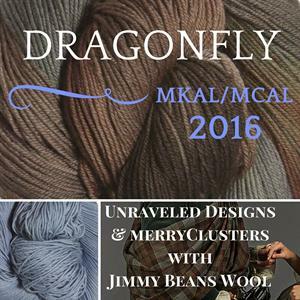 Please see the Ravelry links below for more detailed info on the MKAL and MCAL. 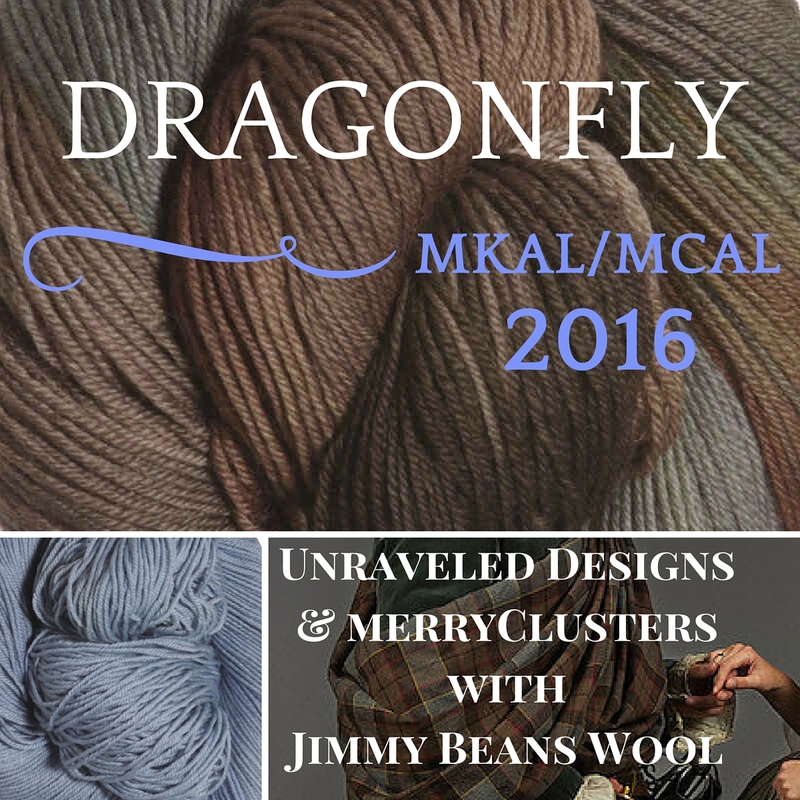 And don't forget to head over to the Jimmy Beans Wool Ravelry Group to join the MKAL/MCAL discussion!